● While in Attack Position: Your opponent cannot select another monster as an attack target. If this card is destroyed by battle, the monster that destroyed this card loses 300 ATK. ● While in Defense Position: This card cannot be destroyed by battle. 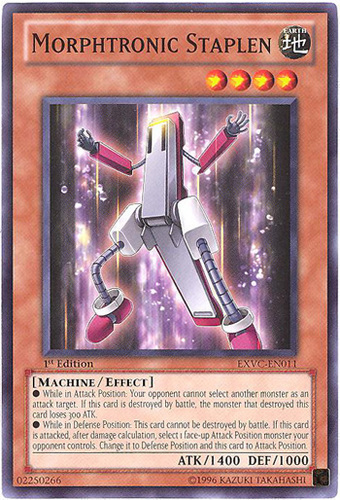 If this card is attacked, after damage calculation, select 1 face-up Attack Position monster your opponent controls. Change it to Defense Position and this card to Attack Position.